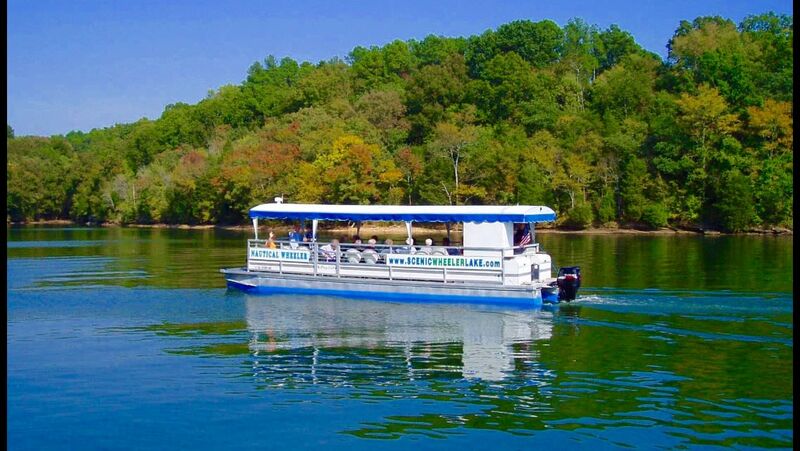 Guided Lake Cruises are available along the spectacular natural shoreline of Joe Wheeler State Park, the lower section of Wheeler Lake and Lake Wilson in beautiful North Alabama! 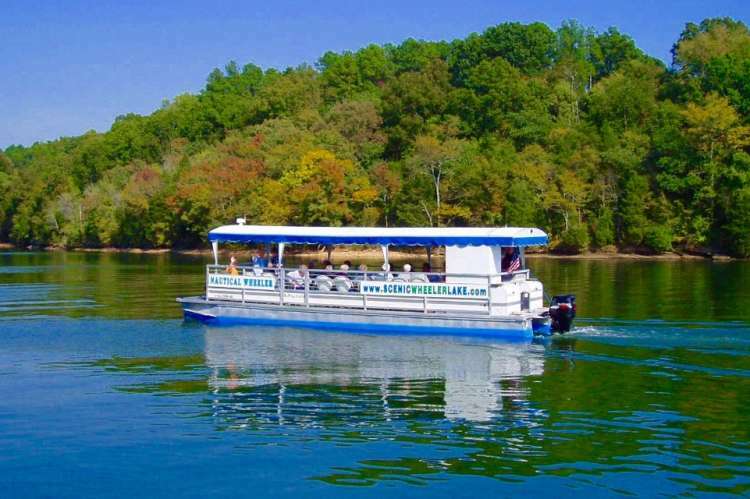 Civic Clubs, business groups, seniors, church groups, wildlife enthusiasts and all find cruising the scenic coves and bluffs aboard the 36' Nautical Wheeler to be the perfect outing. 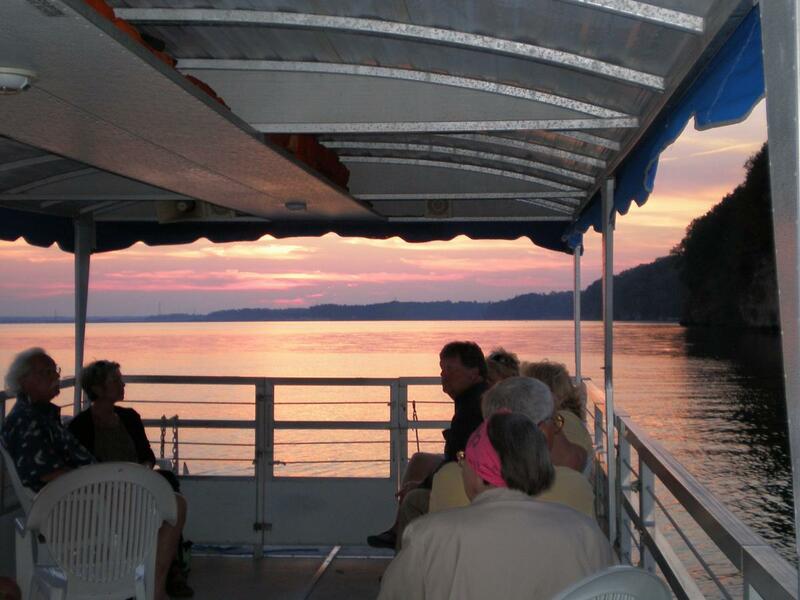 This boat features a full-length canopy, comfortable seating, and a clean restroom facility onboard. 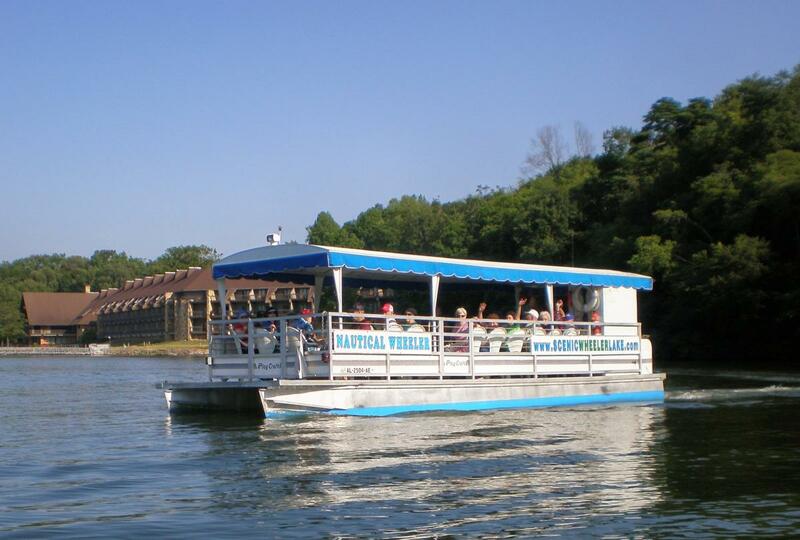 Trips range from 1 to 8 hours and the boat can carry up to 24passengers. You can even bring your own picnic if you wish! Check the website or call for more information. The boat is docked at Joe Wheeler State Park Marina in Rogersville, AL.